THOUGHTSKOTO Thoughtskoto : Do You Know How to Apply for Pag-IBIG Short Term Loan? 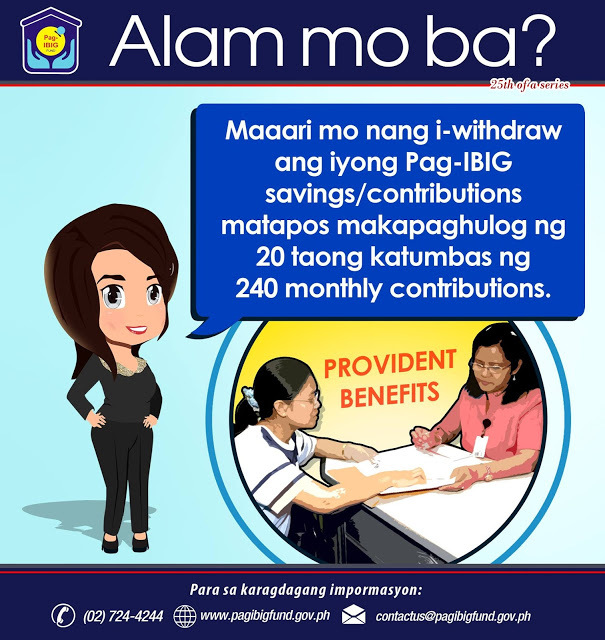 All you need to do is to make sure that you made a 24 months contribution; you are an active member of the fund nad has an updated account if you already had an existing Pag-IBIG housing loan, multi-purpose loan (MPL) or calamity loan. MPL is another short-term loan (SLT) program of Pag-IBIG that aims to provide financial assistance to Pag-ibig members for house repair, minor home improvement, home enhancement, tuition or educational expenses, health and wellness, livelihood, and other purposes. Who are the eligible to borrow (qualifications)? 1.Has made at least twenty-four (24) membership savings (MS). A member, whose MS are still short of the required number of MS, may be allowed to apply for MPL, provided his total savings is at least equivalent to 24 MS based on the mandatory rate inclusive of employee and employer counterpart. 4. 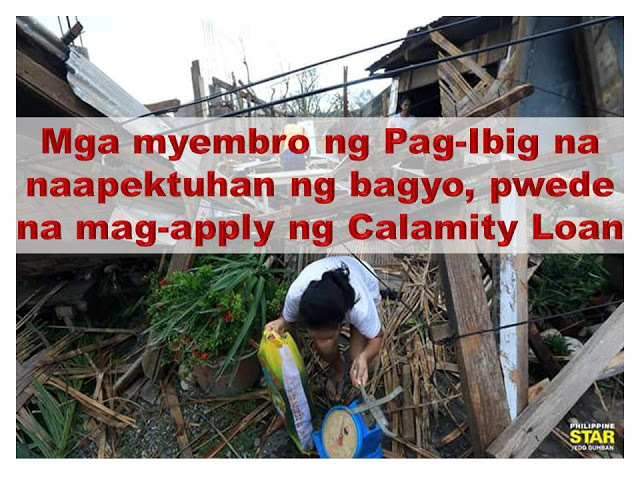 If with existing MPL and/or Calamity Loan, the account/s must not be in default as of the date of application. 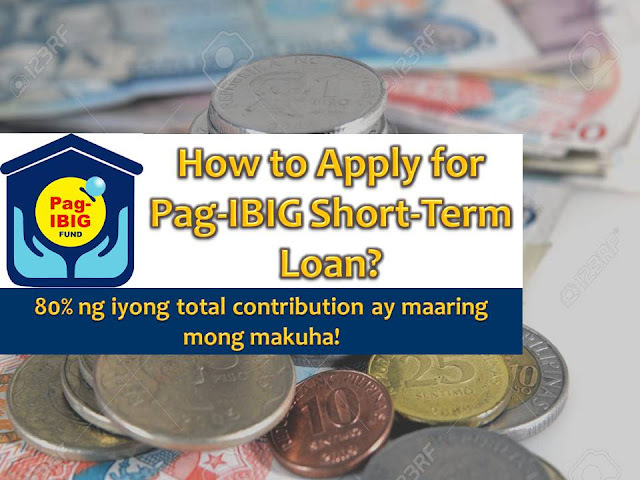 A qualified Pag-IBIG member shall be allowed to borrow an amount based on the lowest of the following: desired loan amount, loan entitlement, capacity-to-pay. Maximum of 80% of Total Accumulated Value (TAV). An eligible borrower’s loan shall be limited to an amount for which statutory deductions, monthly repayment of principal and interest, and other obligations will not render the borrower’s net take home pay to fall below the minimum requirement as prescribed by the General Appropriation Act (GAA) or company policy, whichever is applicable. If the borrower has an existing Calamity Loan, the loanable amount shall be the difference between 80% of the borrowers TAV and the outstanding balance of his Calamity Loan; provided, it does not exceed the borrower’s loan entitlement. The loan shall be charged with an interest based on the prevailing guidelines of the program. A maximum period of twenty-four (24) months, with a grace period of two (2) months. After payment of at least six (6) monthly amortizations. The proceeds of the new loan shall be applied to the borrower’s outstanding MPL obligation and the net proceeds shall then be released to the borrower. In a case of full payment prior to loan maturity, a borrower shall be allowed to apply for a new loan anytime. The “Certificate of Monthly Net Income” portion at the back of the application form must be accomplished by the employer or submit a photocopy of latest payslip duly authenticated by company’s authorized representative. 3.Other valid proof of income. 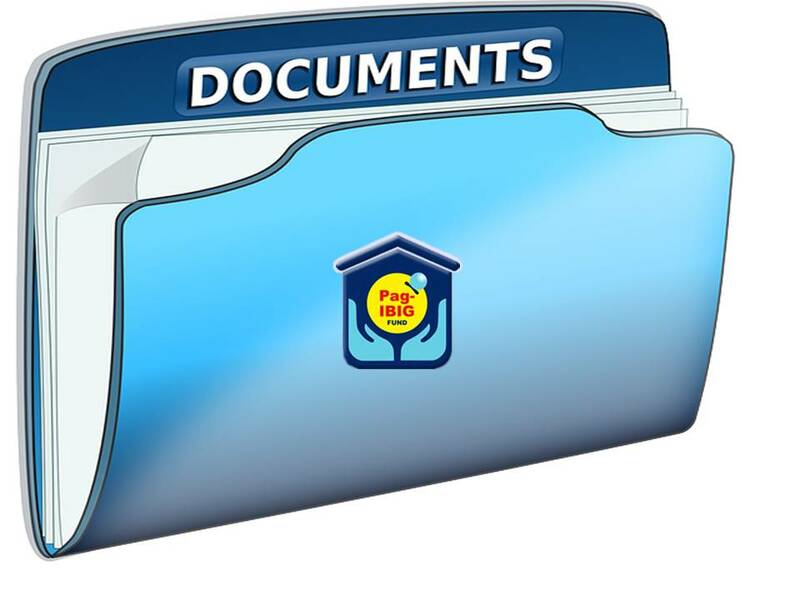 1. photocopy of deposit slip (for a newly opened account)/Payroll Account/Disbursement Card. 2.If through Citibank Prepaid Card, submit a photocopy of Package Unit ID. 3.For application thru an employer, the photocopy of Payroll Account/Disbursement Card shall be duly certified by the employer. 4.For an individual application, the Payroll Account/Disbursement Card shall be presented for authentication. 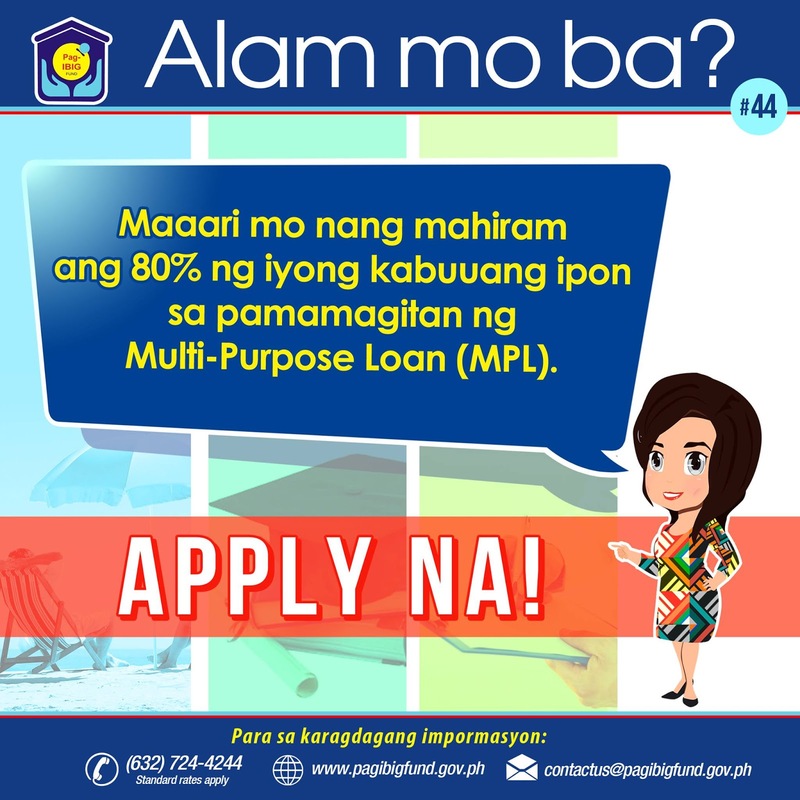 Submit accomplished Multi-Purpose Loan Application Form (MPLAF, HQP-SLF-001) or Calamity Loan Application Form (CLAF, HQP-SLF-002) and required supporting documents to Members Services Officer of Pag-IBIG. Get STL Acknowledgement Receipt (SAR, HQP-SLF-003). NOTE: Prior to submission of loan application, the member-applicant must be registered online and with Pag-IBIG Membership Identification (MID) Number or Registration Tracking Number (RTN). If released through Check, present SAR and 2 valid IDs at Cashier. If released through Payroll Account/ Disbursement Card, verify and withdraw at any accredited ATM/Bank. Read More: HOW TO BE A VOLUNTARY MEMBER OF PAG-IBIG FUND? 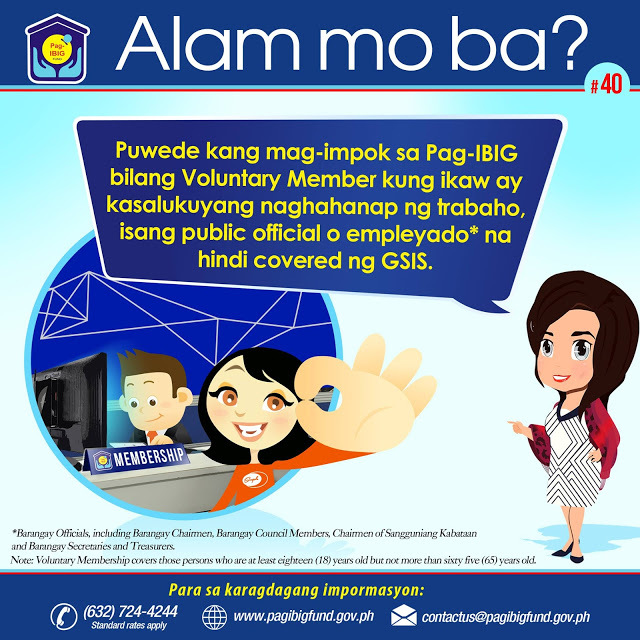 Don't you know that you can be a voluntary member of Pag-IBIG and save even if you are still looking for a job, a public official or employee that is not covered by GSIS? According to Pag-IBIG website, "An individual at least 18 years old but not more than 65 years old may register with the Fund under voluntary membership. However, said individual shall be required to comply with the set of rules and regulations for Pag-IBIG members including the amount of contribution and schedule of payment. In addition, they shall be subject to the eligibility requirements in the event of availment of loans and other programs/benefits offered by the Fund." Disasters and calamities are nothing new in the Philippines. Storm, typhoon, volcanic eruption and earthquake are only some of the natural calamities that usually occurs in the Philippines.